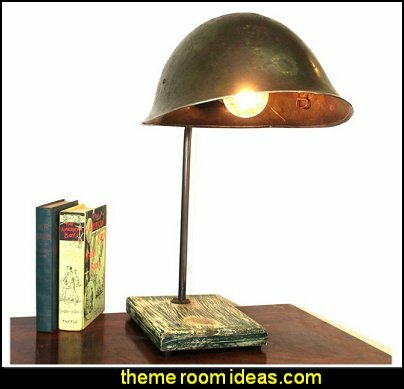 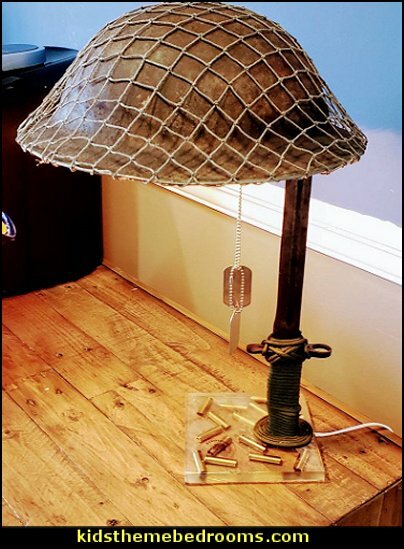 This World War 2 lamp, designed and built by retired Marine Ricardo Ventura, is crafted from authentic WW2 artifacts. 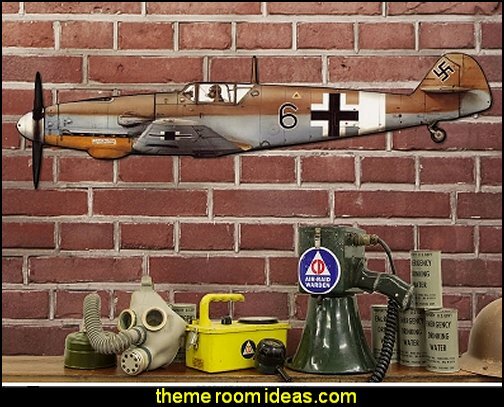 British helmet and the Springfield Bayonet are not reproductions! 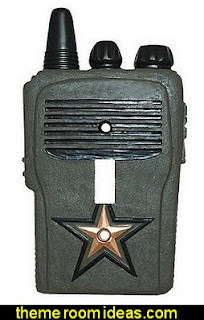 This camouflaged Walkie Talkie light switch cover will add the finishing touch to your little soldier's wall decor. 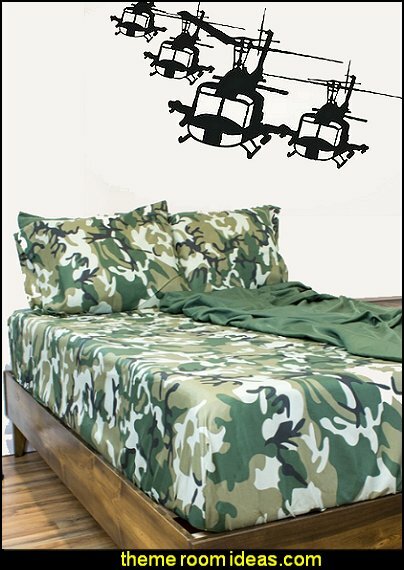 dawn patrol the moment they wake up. 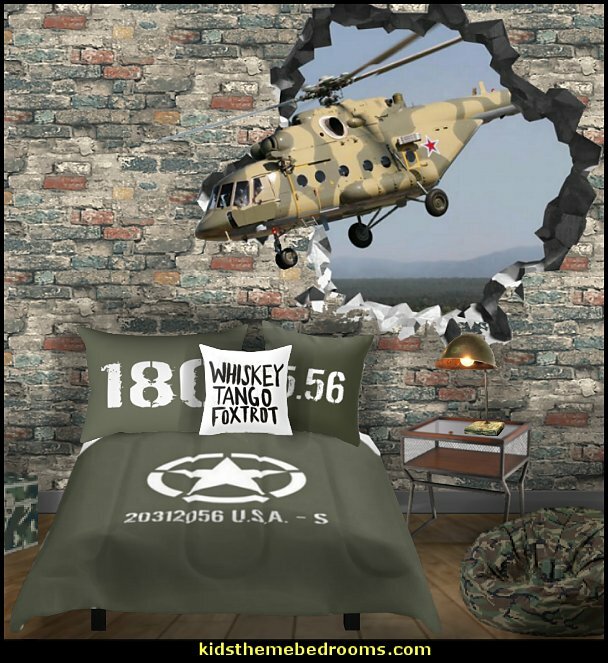 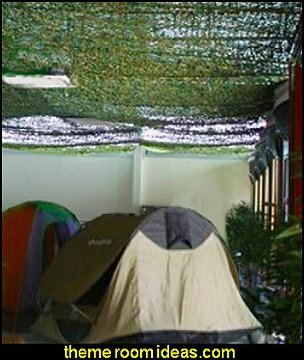 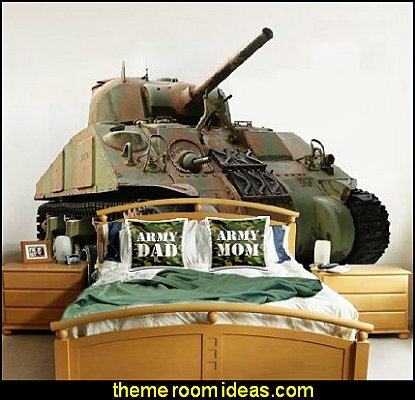 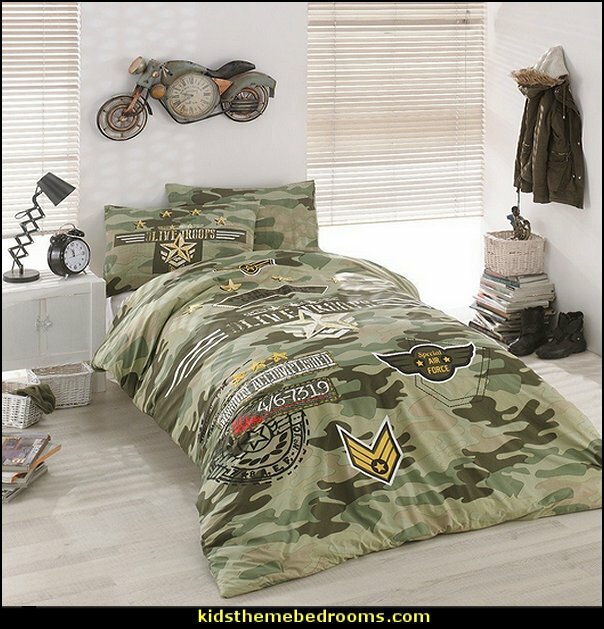 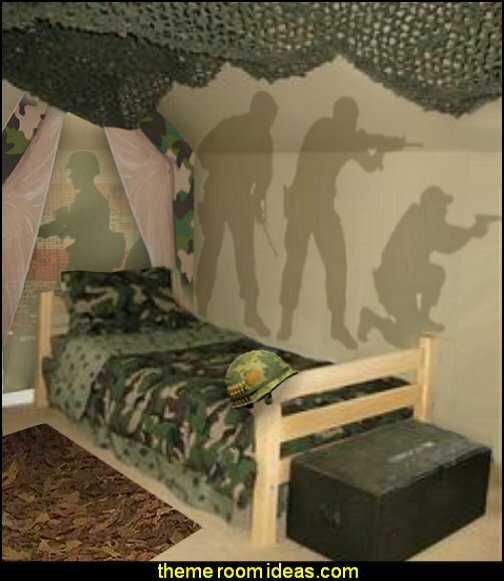 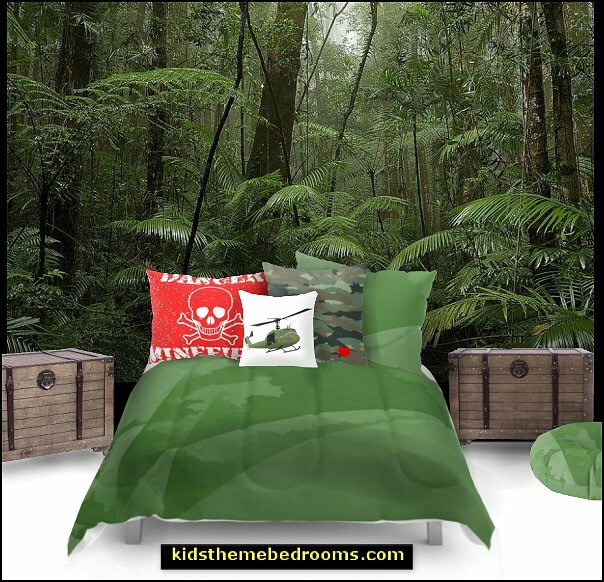 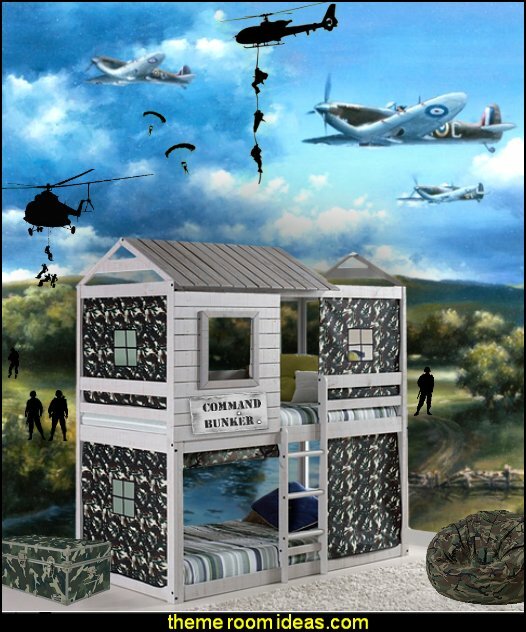 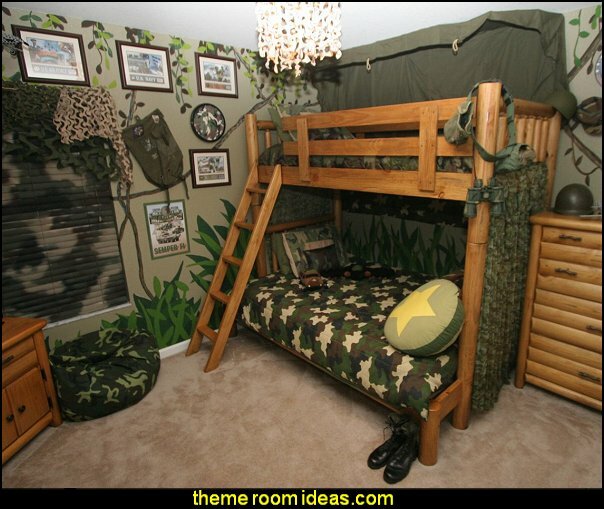 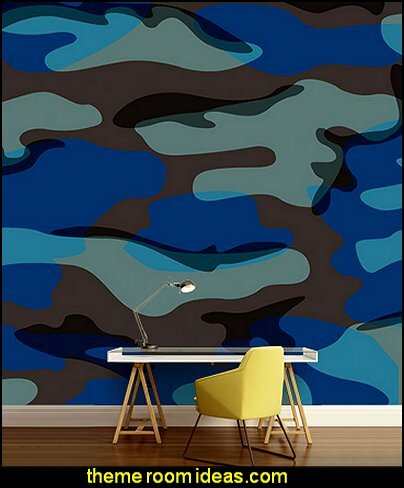 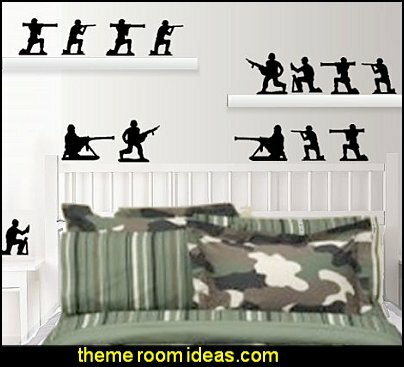 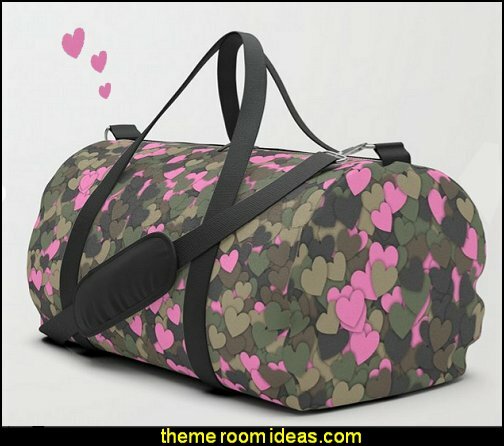 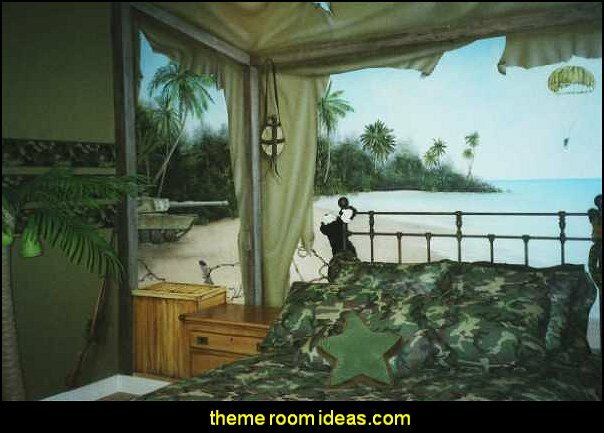 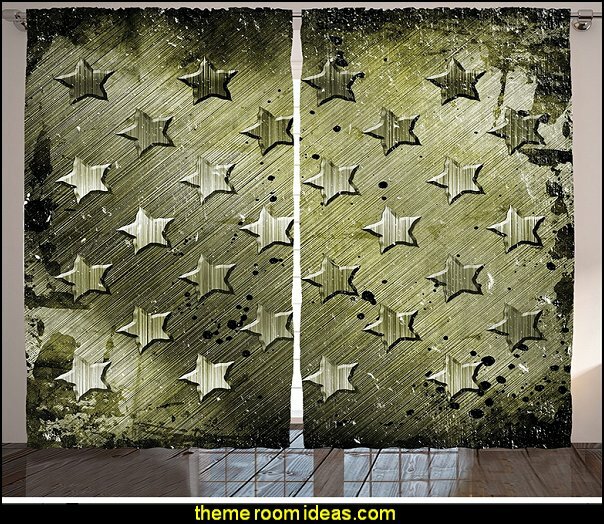 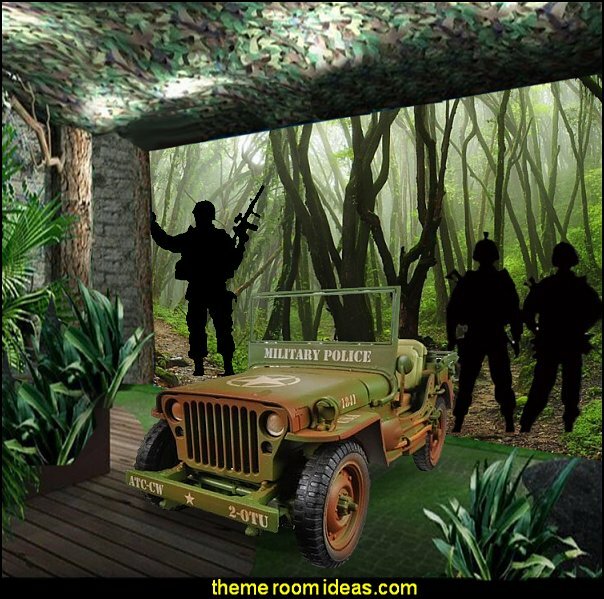 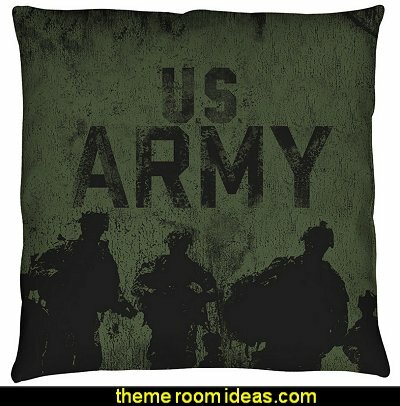 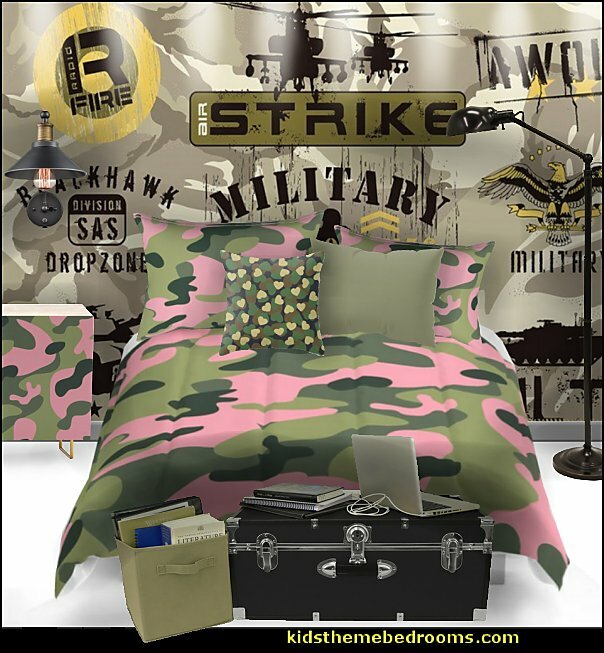 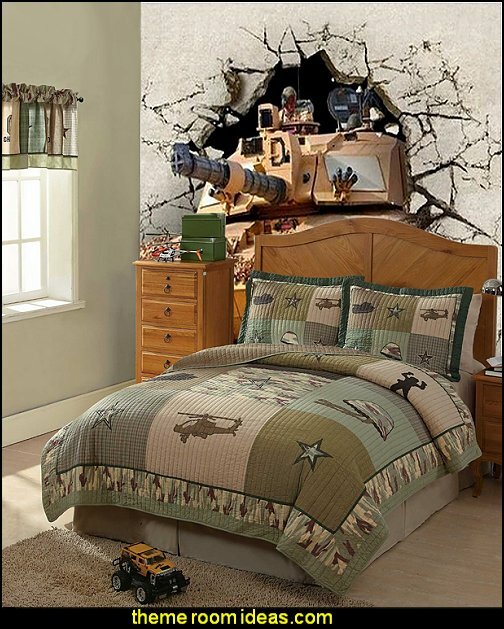 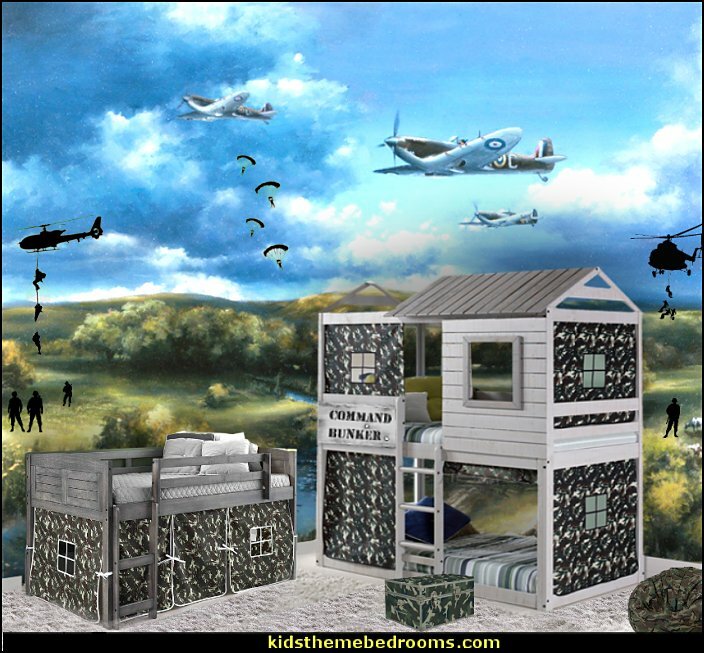 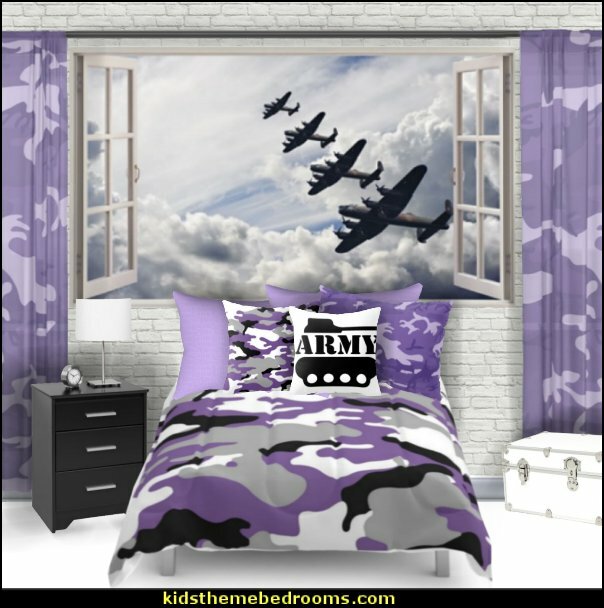 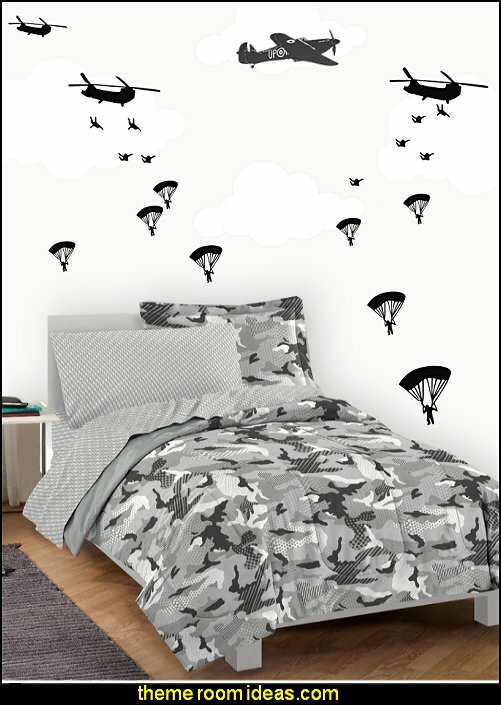 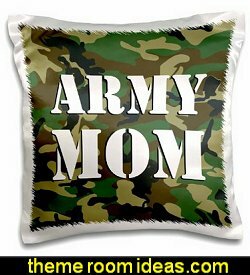 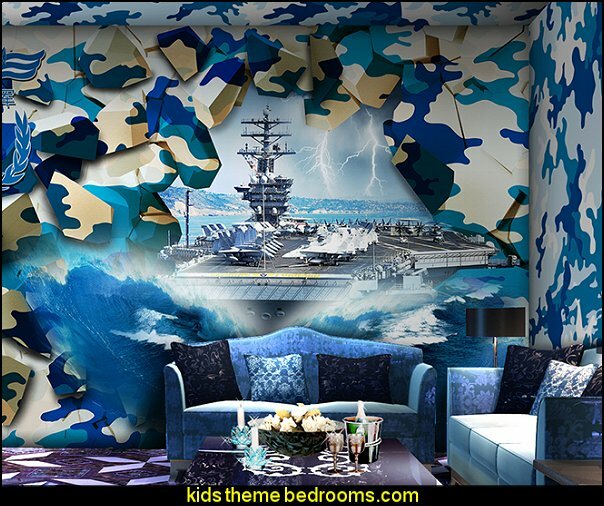 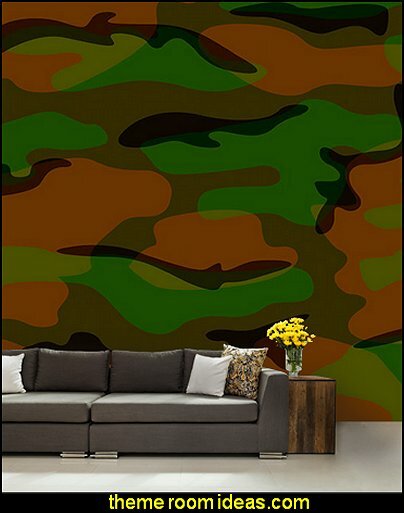 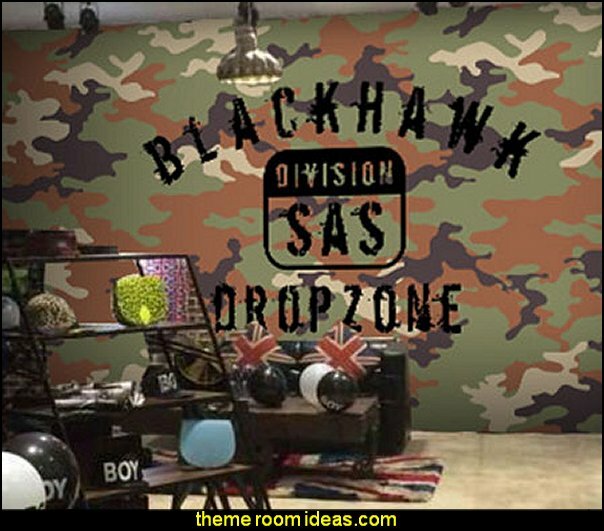 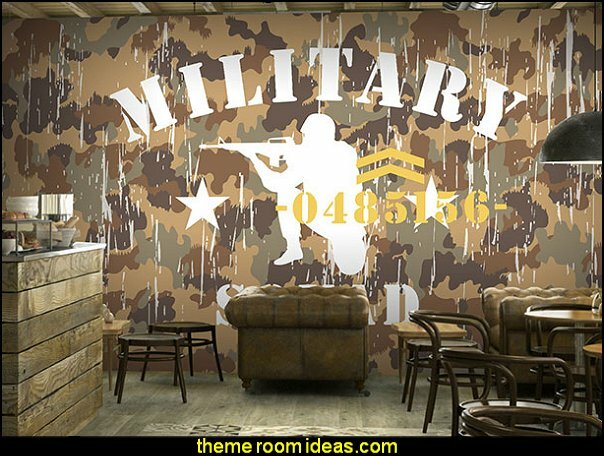 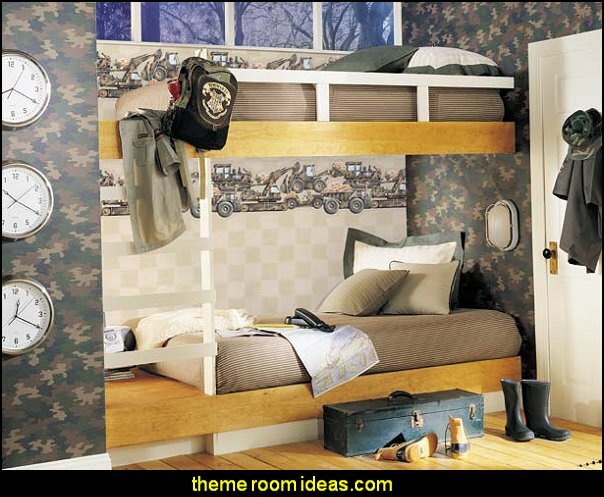 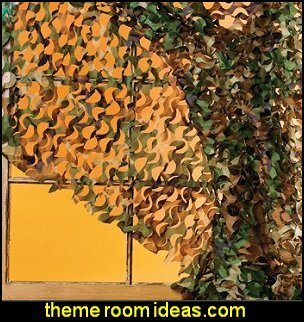 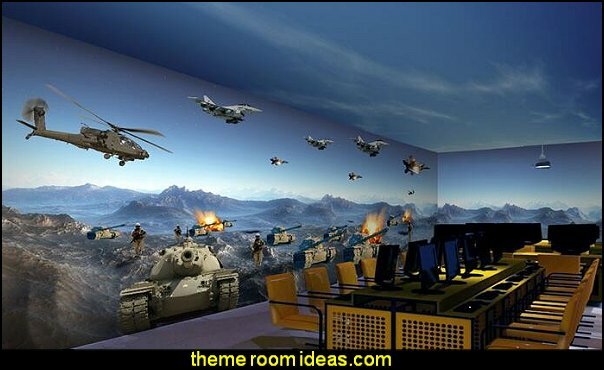 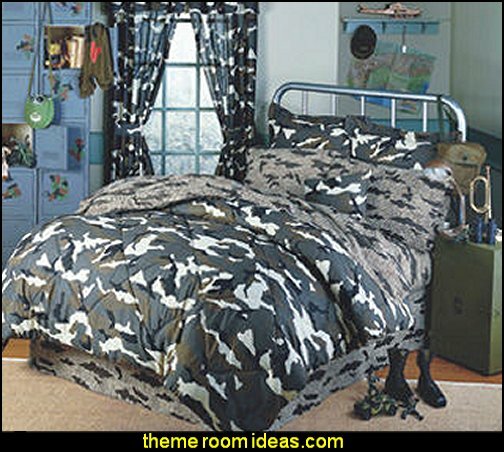 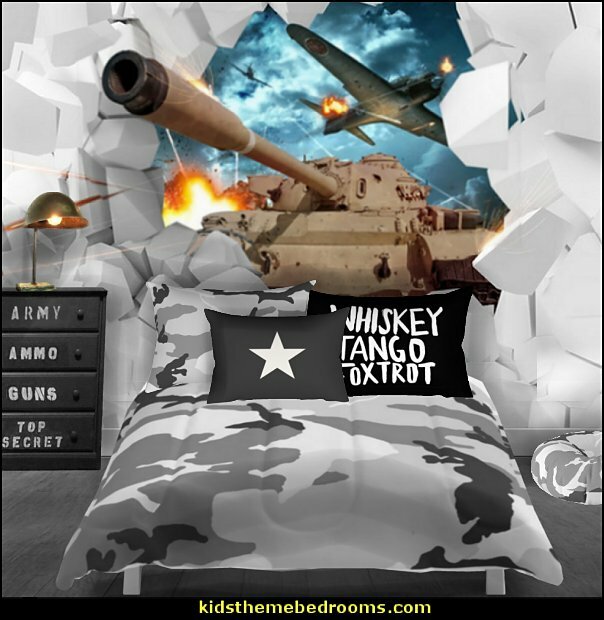 Cool camouflage army curtain for the army man in your house! 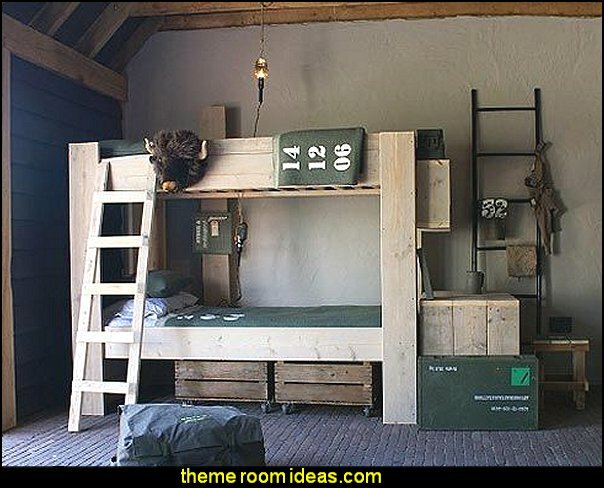 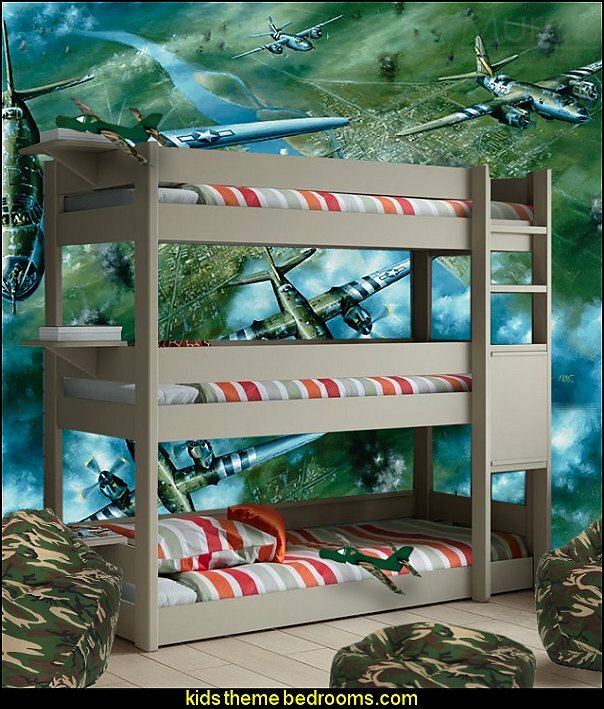 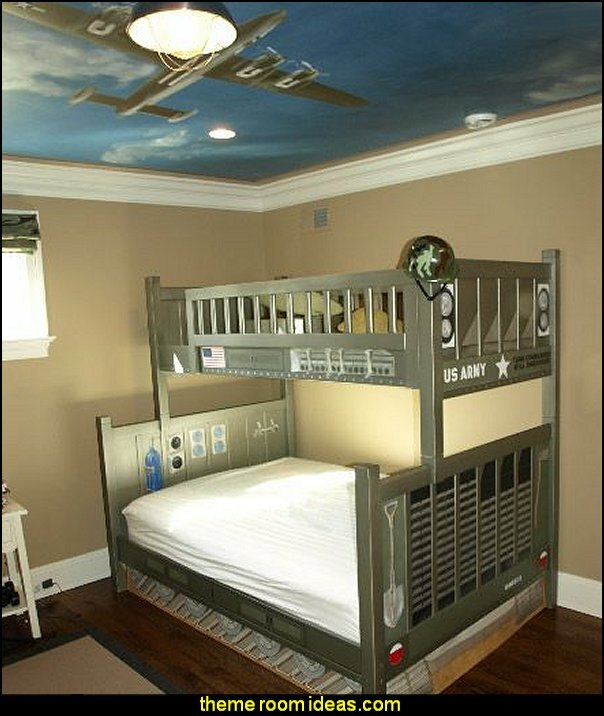 Bedtime and playtime are one and the same with this kids Twin Bunk Loft Bed. 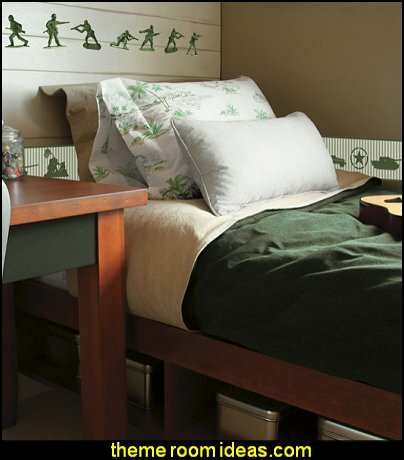 Finished with beautiful gray non-toxic finish, Donco kids bed adds a beautiful element to any child's bedroom. 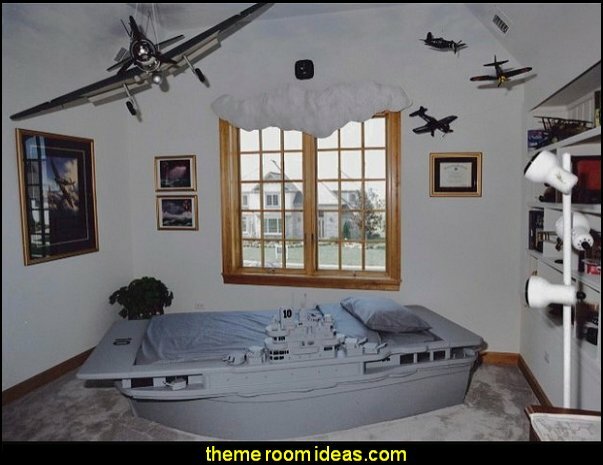 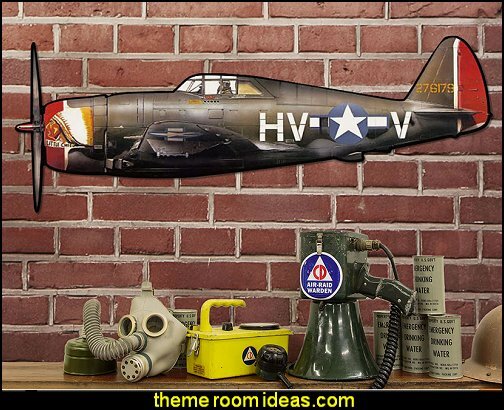 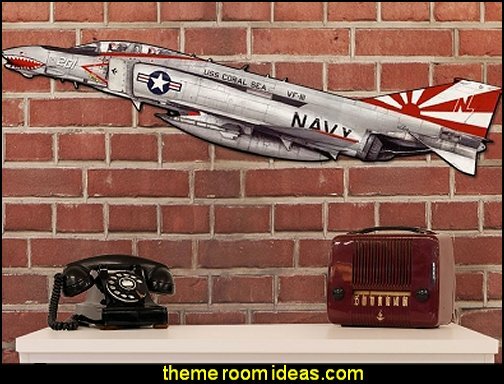 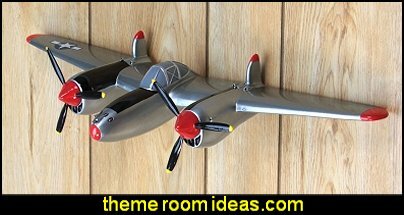 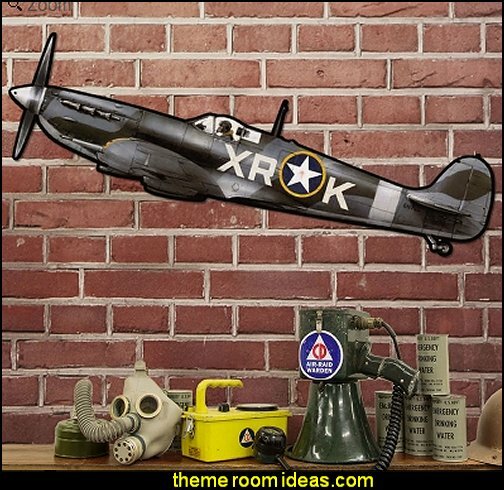 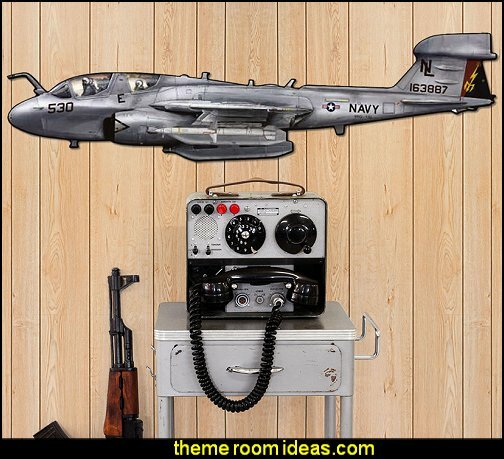 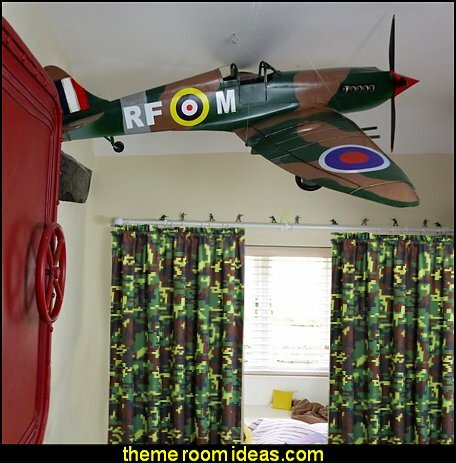 Let your decor take flight with a WWII fighter plane on your wall! 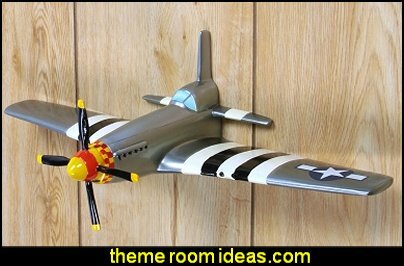 You don't need to be an ace pilot to have your very own P-51 fighter; just hang it up in your living room, bar, or gift it to a flyboy you know. 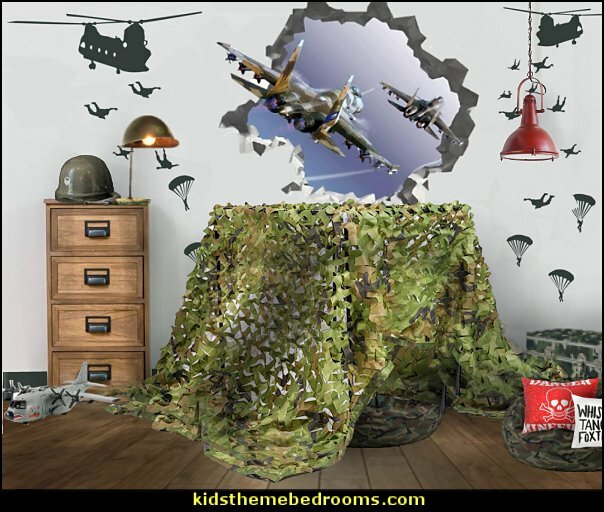 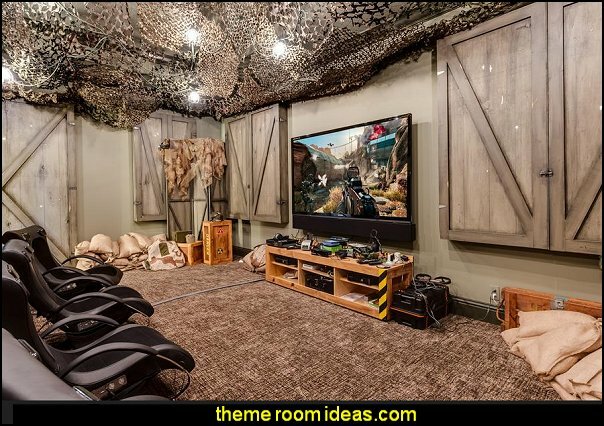 Fly it solo or get two and stage a dogfight in your living room! 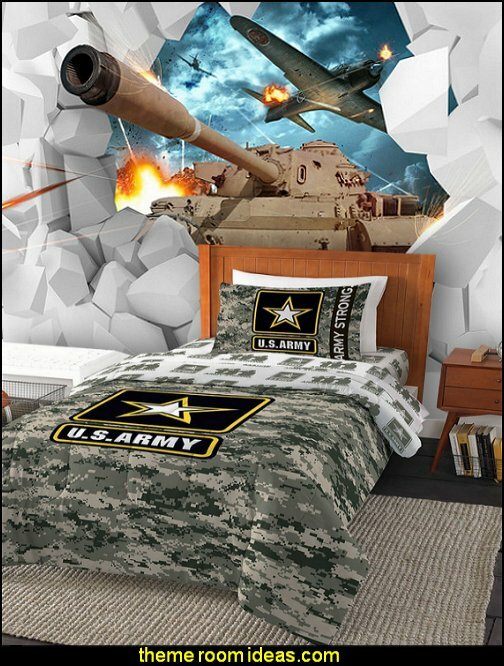 Do you have the next GI Joe? 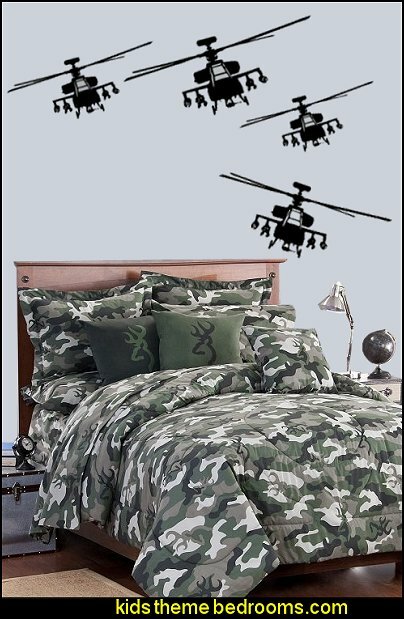 Alpha Bravo Charlie is the pattern for you in patchwork olive and tan prints with embroidery. 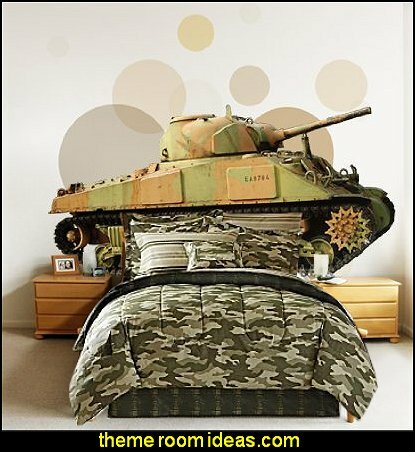 Attention!! 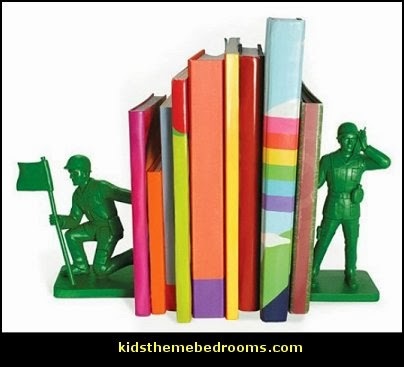 Get those books in order! 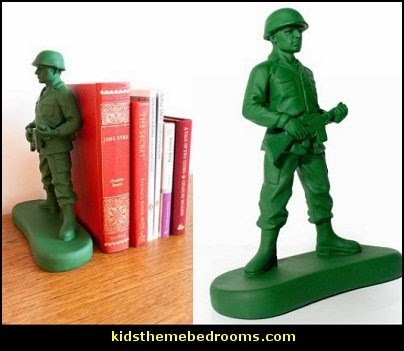 Cleverly designed bookend topped with a classic toy soldier figure. 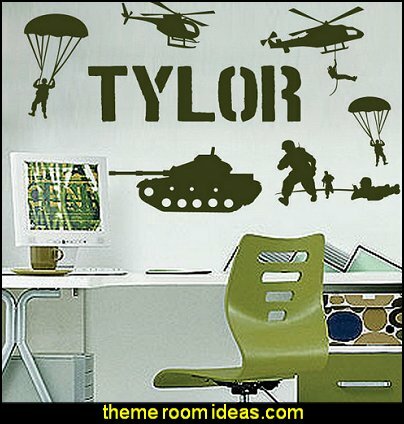 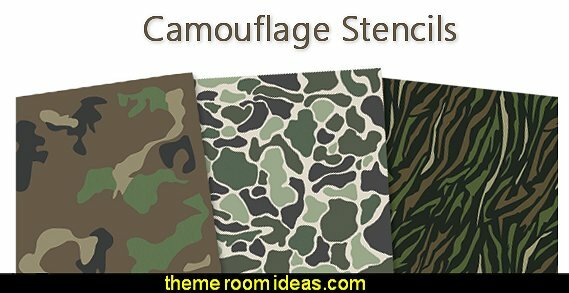 durable plastic stencils - so you can camouflage just about anything! 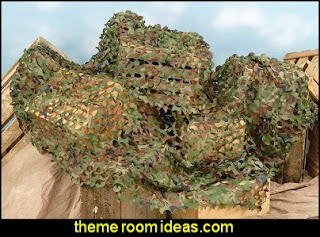 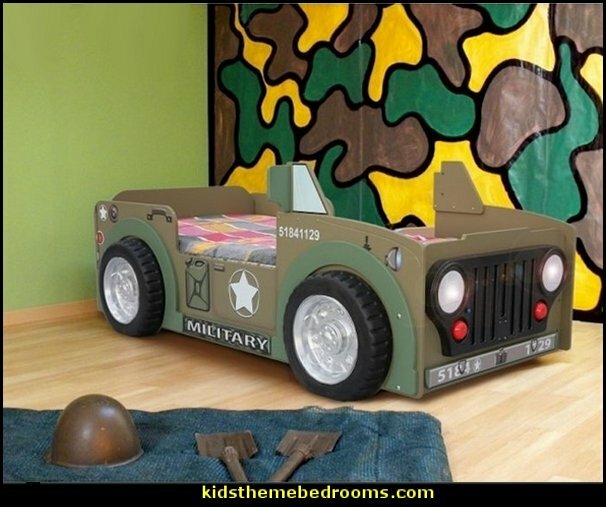 Stencil a duck boat, blind, truck, gun, burlap sheet, wood, stool .... walls, floors and fabrics.